Brexit has not yet happened, and there can be no certainty that it ever will. The market’s sharp reaction to the UK referendum result, the record plunge in sterling and a sharp sell-off in both London and other European stock markets, has been based on the assumption that Britain is definitely going to leave the European Union and all that’s left to discuss are the terms of the divorce settlement. But Brexit has not yet happened, and there can be no certainty that it ever will. 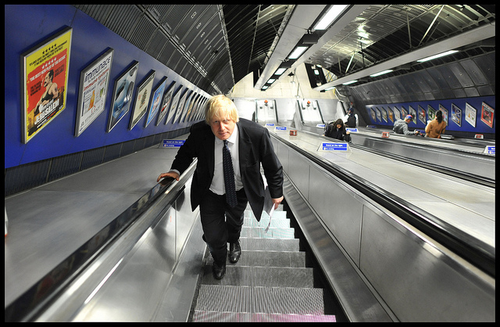 Boris Johnson may be going down, despite his ostensible "Brexit" win. Under UK law the referendum result is advisory and not binding on Parliament, a large majority of whose members are opposed to leaving the EU. It is only when elected MPs vote in favour of a new bill to repeal the 1972 legislation that brought Britain into Europe that Article 50 can be invoked and divorce proceedings begin in earnest. And that is unlikely to happen until after the Conservative party has elected a new prime minister who, in all probability, would call a general election to confirm the authority of parliament to vote on such a crucial issue. The main opposition party, Labour, has already made moves to remove its leader, Jeremy Corbyn, on the grounds of his weak support of the party’s pro-European stance during the referendum campaign. And the Scottish Nationalists are likely to demand a new referendum on Independence should their country’s overwhelmingly pro-European vote be overruled by Brexit. So no irretrievable move by Britain to leave the EU is likely to happen before this fall. Apart from anything else, the UK has virtually no trained negotiators to do a new deal with Europe or, indeed, other trading partners around the world, as everything has been done through the EU for the past 40 years. It has just been announced that a new government department is being formed from scratch to manage such negotiations. Meanwhile, many of those who voted for Brexit as a protest vote are having second thoughts – a syndrome that has been dubbed ‘Regrexit’. And an online petition calling for a second referendum has amassed more than 3 million signatories, far surpassing the minimum required to ensure the issue is debated in Parliament. Even leaders of the Brexit campaign are beginning to wobble, with Boris Johnson denying that immigration was the key issue in the referendum while others admit that claims about an ‘Independent Britain’ being able to stop immigration cannot in reality be delivered on. Brussels may be pushing for a speedy start to the divorce as the current state of uncertainty is damaging to the EU as well as the British economy, Moreover, the longer this state of ‘Phoney War’ continues, the more foreceful will be the demands other eurosceptic parties within the EU to hold referenda in their own countries. If European leaders exercise restraint rather than, like Francois Hollande, seeing Brexit as an opportunity to punish the UK, have the French language replace English as the official European language, and keep Marine Le Pen and the 63% of Frenchmen and women who are hostile to the EU off his back, then UK politicians with a fresh mandate may be able to steer Britannia back into harbor. And if that sounds unlikely, it is no more so than tiny Iceland's (population 330,000) 2-1 victory last Monday over England in Europe's football tournament--a sports result with potential political repercussions, as diehard England supporters voted for Brexit now they may feel less sure of themselves on several levels, should a second referendum be called. There are precedents for this. Danish voters initially rejected the Maastricht treaty and then reversed their decision. The Irish voted against the Lisbon treaty in 2008 but supported it a second time around. Brexit has sent shock waves around the world. But it’s not (yet) a done deal.